Aglianico is the wine that, together with Fiano, rappresents the culture of our land. This wine has been always cultivated by our ancestors and they used to realize a wine that, after 12 months of wooden barrels, was sold loose to local business people. One of the areas more vocated in our town for this wine is without any doughts Contrada Campore, located at 500 mts above sea level, clay and calcareous soil situated at south/east. 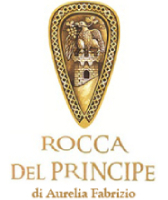 In this area, continuing our family traditions from wich we produce our Aglianico Irpinia doc and our Taurasi Aurelia docg. We harvest at the beginning of November, once the pressing is done, the must ferments with skin contact for about 15 days, does 12 months in barriques and in bottle.